Choice… we all kind of like to have one. For the most part, however, the options for a great touring helmet with unique style are quite limited. While graphics are often available, they tend to be pretty much the same, and kind of boring. 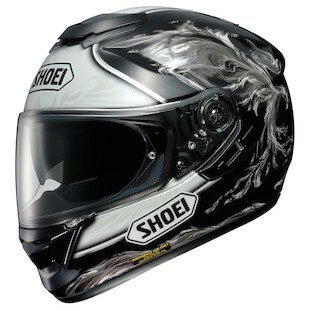 Shoei has looked to change all of that with the newest iterations of its classic GT-Air Helmet. 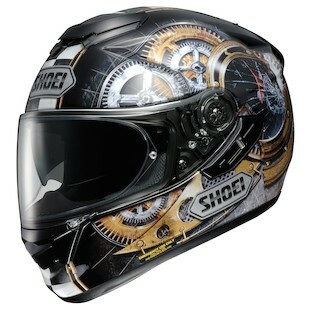 The Shoei GT-Air Grandeur Helmet is a great example of taking a longer stride than most. 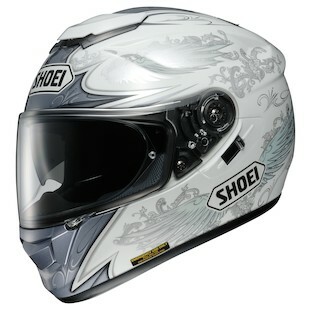 With a White/Silver graphic featuring wings and flowing vines, it is a helmet that has a visual style that is distinct from many other touring helmets. Here, you can enjoy all of the great features of the GT-Air, yet with a light graphic that is as fun as you are. Built with the very popular Phoenix theme in mind, the Shoei GT-Air Revive Helmet is all about the legendary bird who rises from its own ashes. From the fearsome creature spreading its wings wide with laser focus along either side of the faceshield to the flowing ring of fire around the base from which it is born, this helmet is ablaze with epic-ness. Ah, that feeling when you shift perfectly… it is simply wonderful. To be in perfect harmony with your machine and to drop the hammer, roll on the throttle, and be gone is the best. If you are a fan of mechanized masterpieces and the parts that go into making them work, the new Shoei GT-Air Cog Helmet is for you. It is all about the driving forces behind the engines that propel us toward our destinations in the most enjoyable of ways. Most of the time it seems as if the more aggressive graphics tend towards more aggressive helmets. They flood the racing lid market but yet remain behind in the touring segment. With the new line of Shoei GT-Air lids, there are now a few more options for the latter.